Look no further for cheap, reliable and efficient parcel deliveries to Greenland book your shipment with Courier Force. A lot Indian families have friends and relatives in Greenland, thanks to the advanced communication technologies it is much easier to stay in touch with them but sending a gift or a parcel is always a special feeling. Most of the time the cost and the process that’s involved in sending the parcel stops us from sharing the emotion. Courier Force values your emotions and helps you to send your parcels to your loved ones in the most affordable and in the easiest way. Despite the long distance we give you the assurance that your parcel will be safe and reach the destination in one piece. We use the best possible global courier services to give you this peace of mind. We have a live online help team to assist you with shipping to Greenland. We make the process simple for you where you simply have to mention the dimensions and weight of your parcel to Greenland and you instantly get the quote following which our agent will collect the parcel from your location and provide with a completely free online tracking no. to trace your shipment to Greenland. 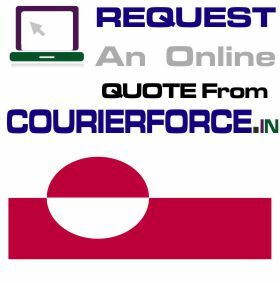 Contact Courier Force today to get a quote for your courier to Greenland. Prices below are door to door courier rates to Greenland from India. These charges are cheapest in India for sending courier to Greenland from India. This is by a courier company which is the best in industry for parcel services to Greenland . Again, Courier Force is one of the very few companies who have their own network for distributing parcel in Greenland . It will take anywhere between 3 and 6 working days to deliver your parcel to Greenland from India. 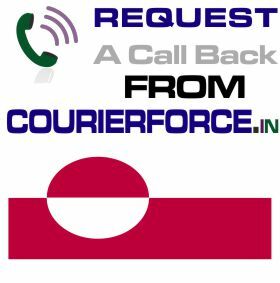 We will be simply collecting the parcel from your business or residence in India and delivering it to your destination address in Greenland. Duties, taxes and customs charges if any (in Greenland) will be additional.